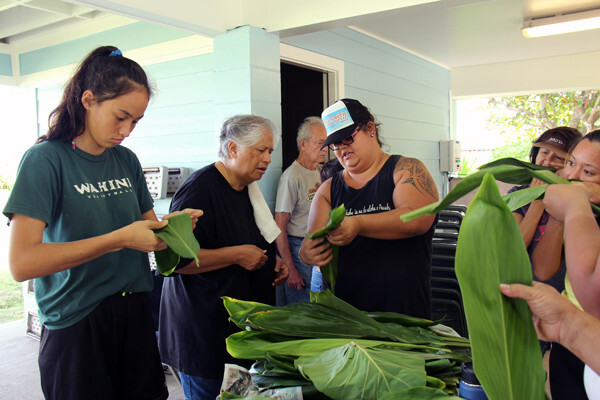 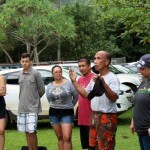 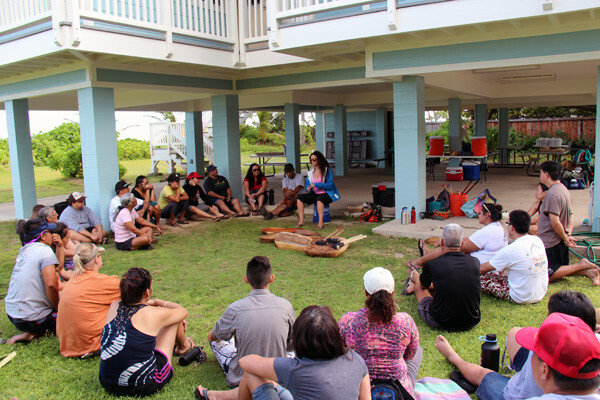 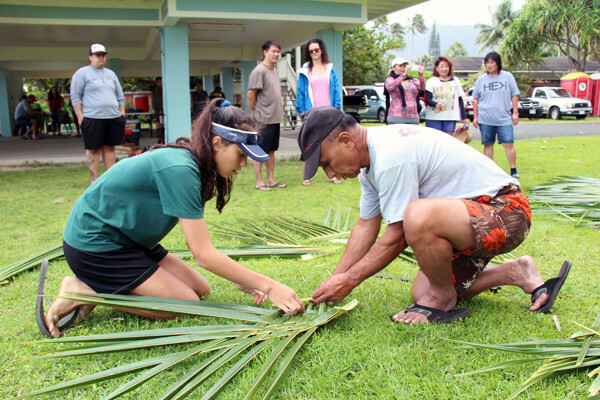 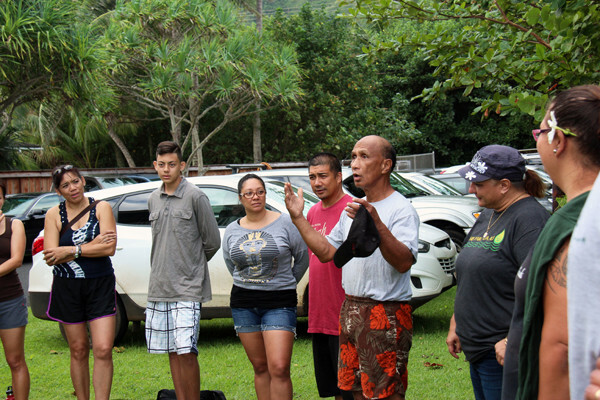 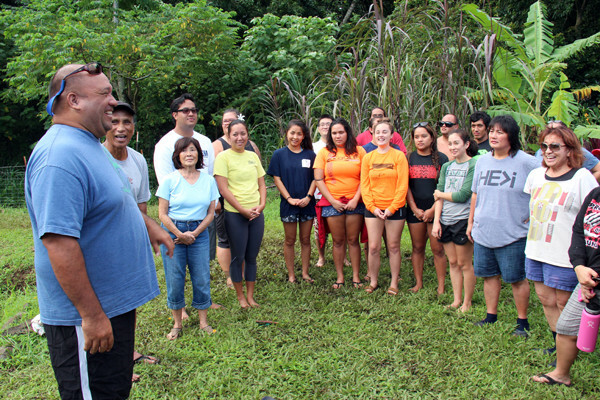 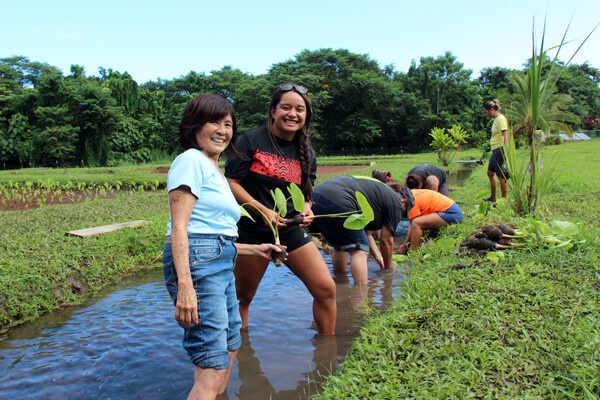 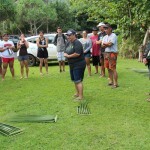 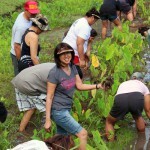 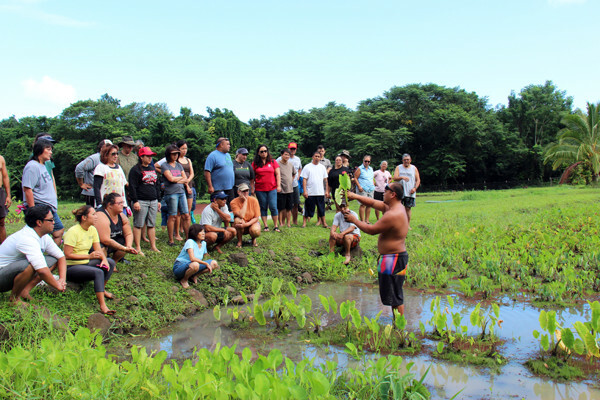 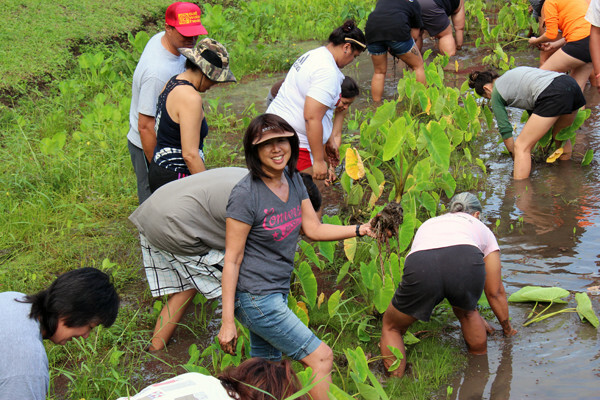 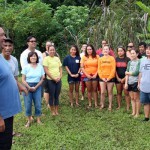 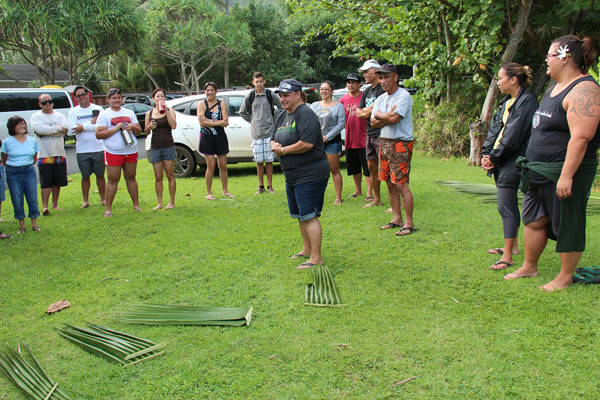 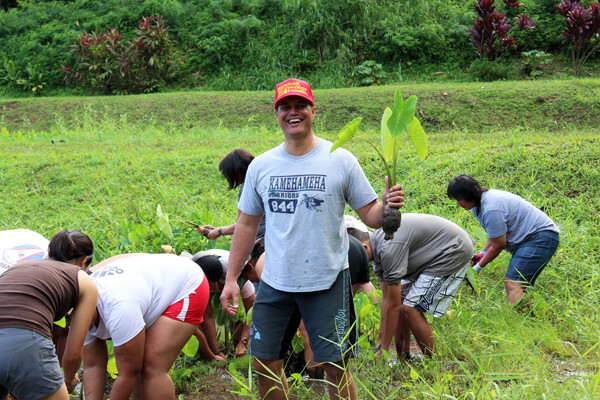 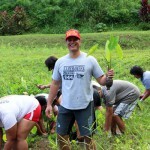 On Nov. 14, 2015, 35 Kamehameha Schools alumni joined the Pauahi Foundation and Kamehameha Schools’ Community Engagement and Resources Group for a huakaʻi at an educational facility on KS land in Punaluʻu. 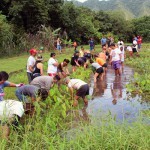 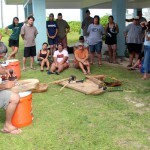 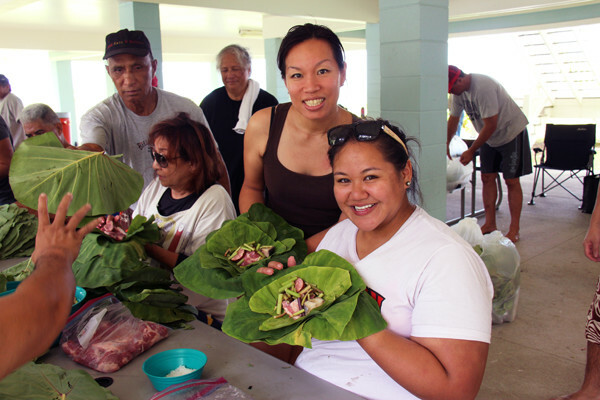 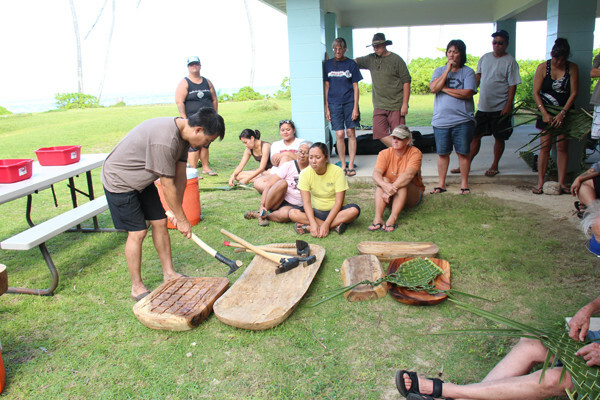 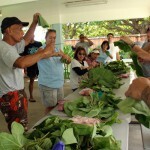 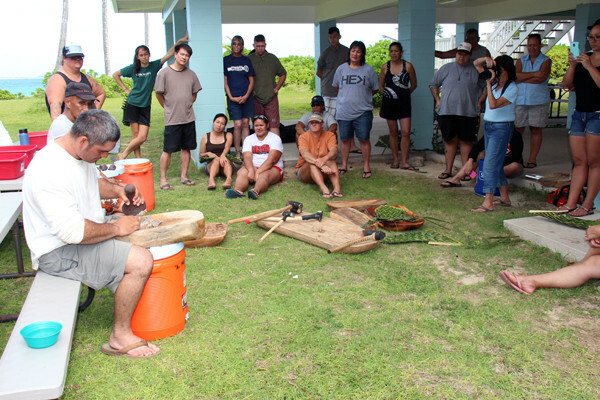 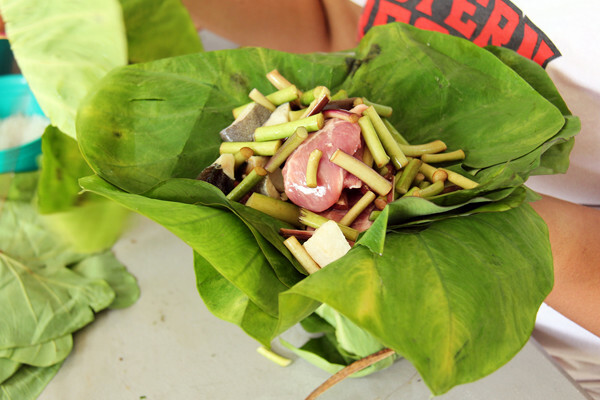 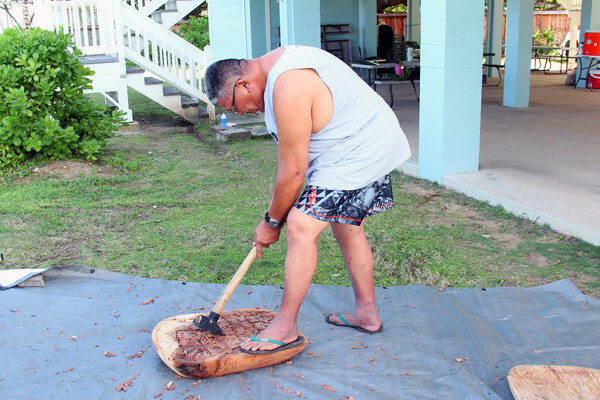 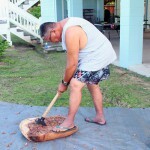 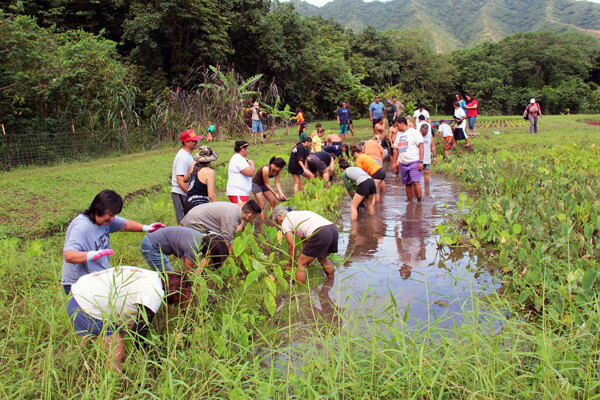 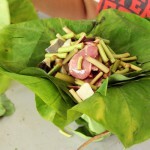 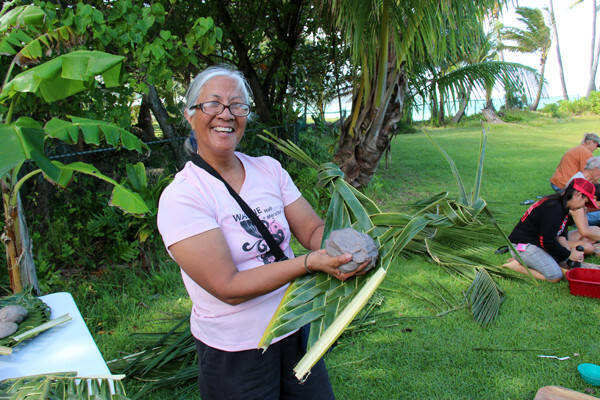 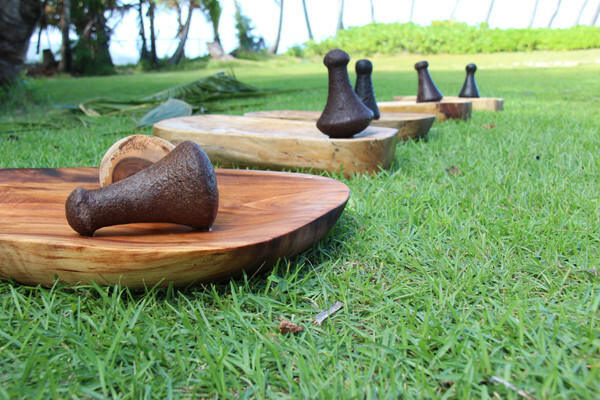 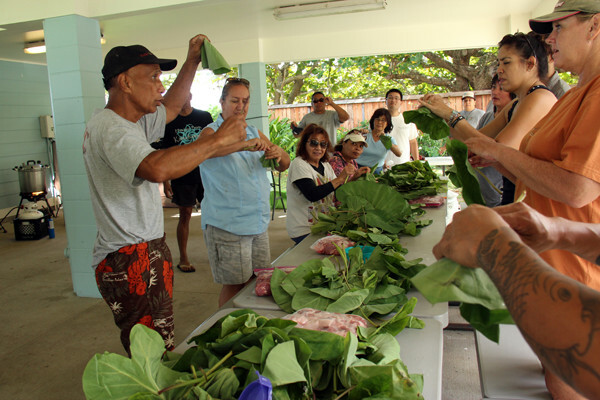 Participants harvested and cleaned kalo which was later used to make paʻiʻai on papa kuʻiʻai. 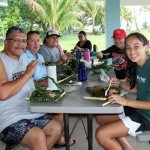 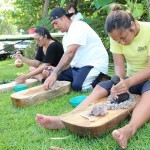 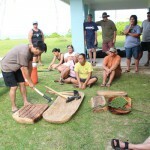 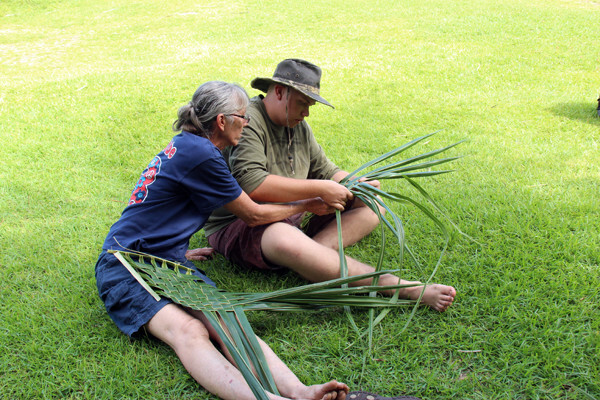 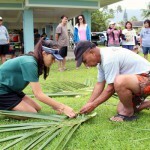 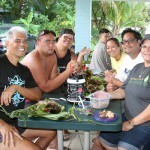 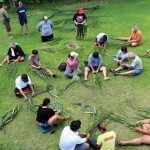 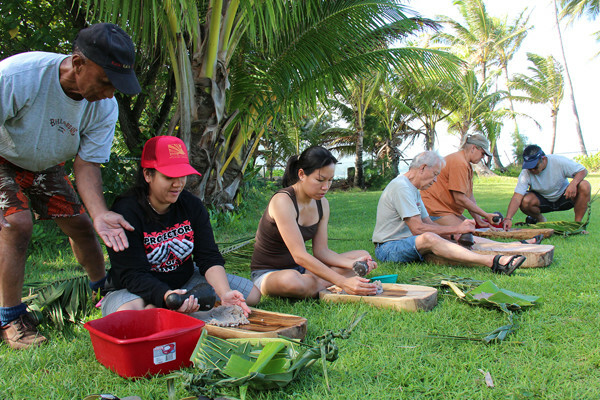 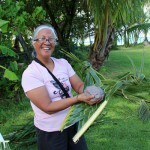 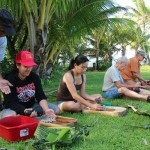 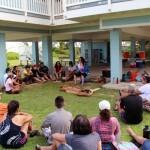 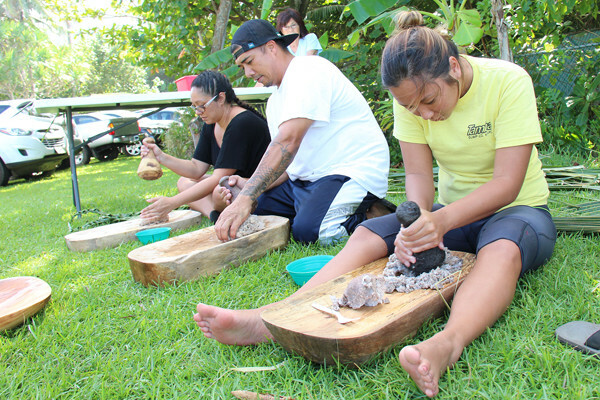 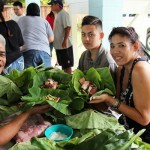 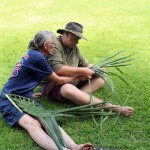 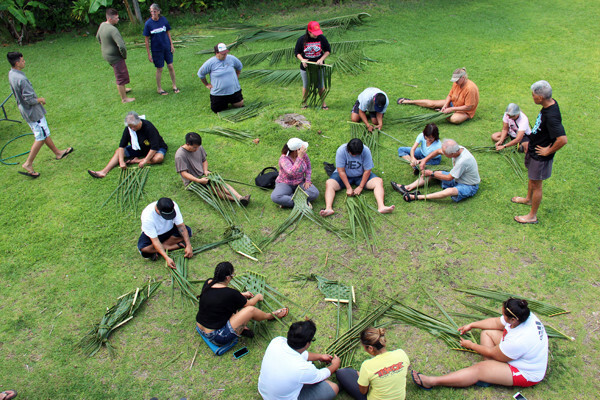 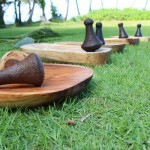 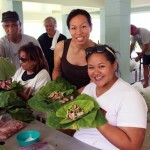 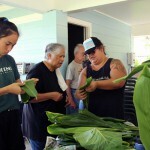 Other activities included making laulau, lau niu weaving, and learning how to carve a papa ku‘i ‘ai with a ko‘i. 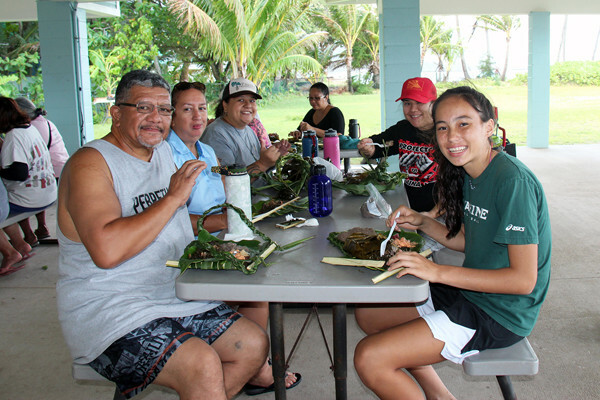 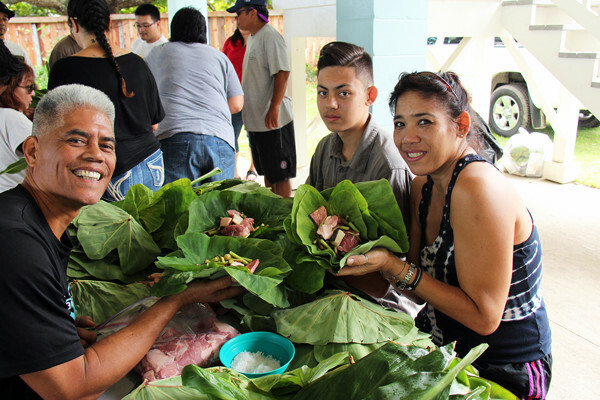 Once the food was ready, the group enjoyed a meal of their fresh paʻiʻai and handmade laulau while sharing manaʻo and laughs. 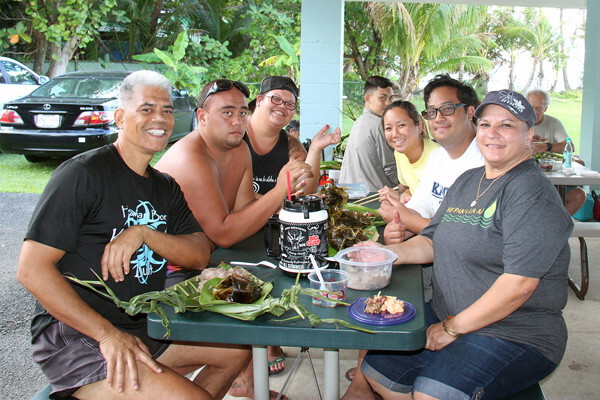 For questions about other upcoming alumni events, please email ksalumni@pauahi.org.